Your ultimate goal in Phantomgate: The Last Valkyrie is to build an army of the most powerful phantoms. There are hundreds of phantoms you can collect and each belongs to a different element class. Therefore, the benefits they can provide are different. The faster you collect phantoms, the more options you can use on the battlefield. In this guide, we’ll tell you how you can do this: Say hello to your personal phantom army. Shortly after starting the game, the “Phantoms” building will be unlocked. This is the building you will use to build your army. First, let’s take a closer look at it. You can see all the phantoms you have on this screen and place them in parties. But the most important feature of this building is that it allows you to create new phantoms. Phantomgate offers multiple methods for obtaining new phantoms, the first of which is essences. You can think of them as pieces of characters, scattered around. Every phantom has a certain number of essences and if you manage to collect them all, you can create that phantom completely for free. There is no limit to this, as long as you have a sufficient amount of essence, you can create as many new phantoms as you want. 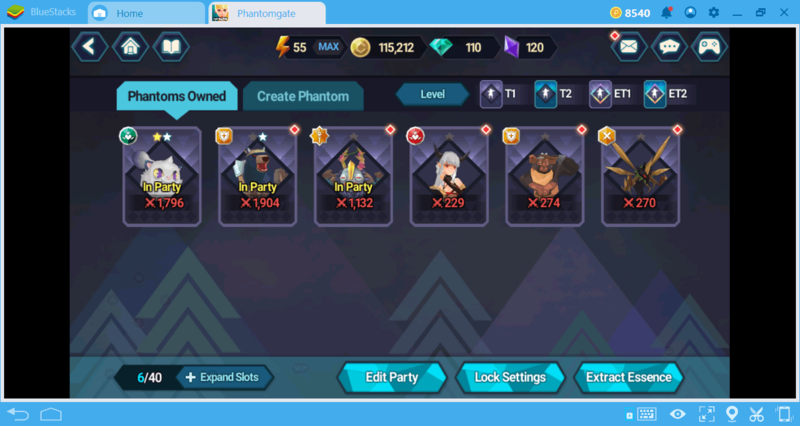 You can add a phantom you created to one of your parties. So, how is the quality of a phantom determined? Phantoms in Phantomgate have four different levels of rarity: T1, T2, ET1, and ET2. ET2 symbolizes the most powerful and rarest phantoms. You cannot change the level of rarity of a phantom. Look back at the list above: Next to each phantom, you’ll see an icon that shows its level of rarity. As can be expected, the rarest phantoms require you to collect a lot of essences. So, where are these essences coming from? You can get them by completing the main story missions. Note that not every mission gives essence. Before starting a mission, you can check the reward list to see if it awards essence. 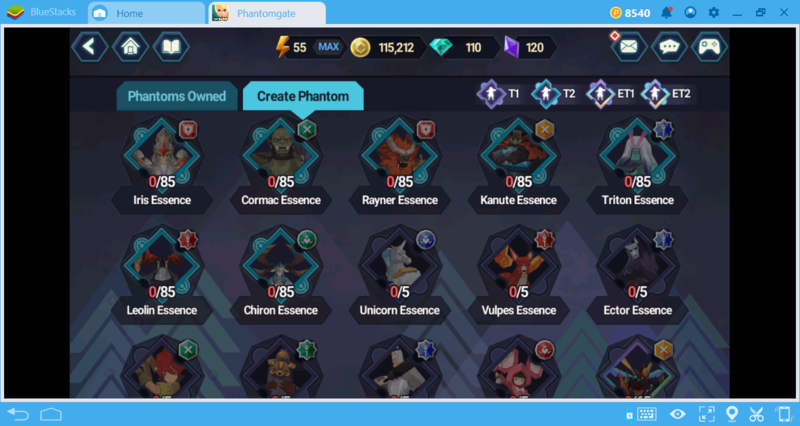 Essence is a completely free method of collecting phantom and you can collect even the rarest phantoms in the game if you are patient enough. You will need to complete missions more than once for some essences. This is called farming: You continue to play the same missions and try to collect all the essences you need. But farming is not the only way to get new phantoms. The “Summon” building opens after Chapter 1-3 has been completed. The feature of this building is, as the name suggests, summoning new phantoms without having to collect essence. In this building, you can summon a new phantom with one of two resources: gems and gold. Premium: You always get an essence. Uses gems. 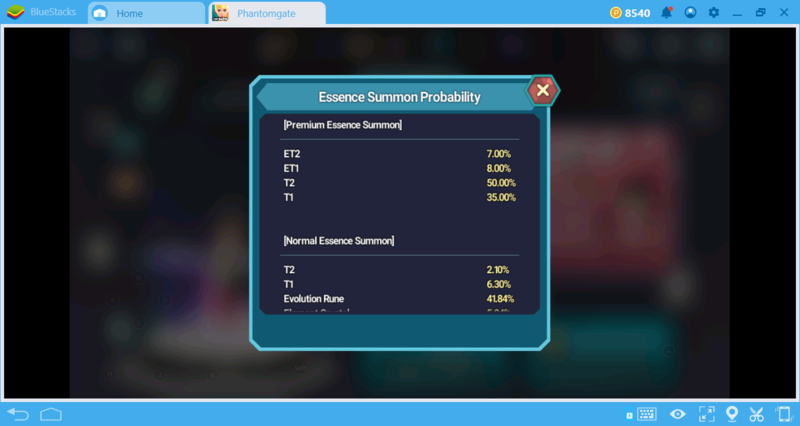 Normal: Essence is not a guarantee, you can get other resources too (like runes). Uses gold. The first thing you need to learn is that you can’t summon a complete phantom from this building. Even if you pay with gems, you can only earn essence. Moreover, the rates are quite low. 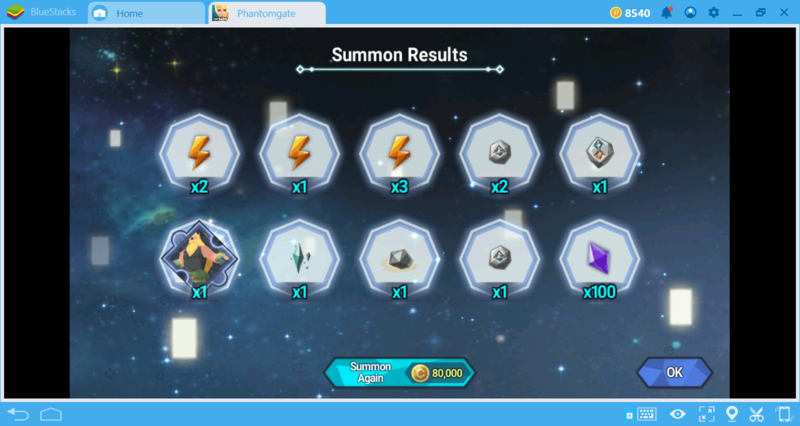 You can make a free premium summon every 24 hours. Normal summons can be done constantly as long as you have enough gold. But the results are not very good. 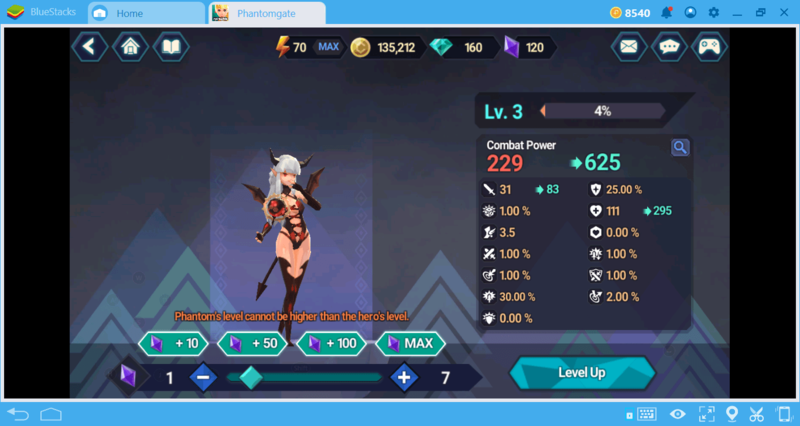 Below, you can see the results of a normal summon that cost 80,000 gold. We were able to get only one essence. We do not recommend using this method. 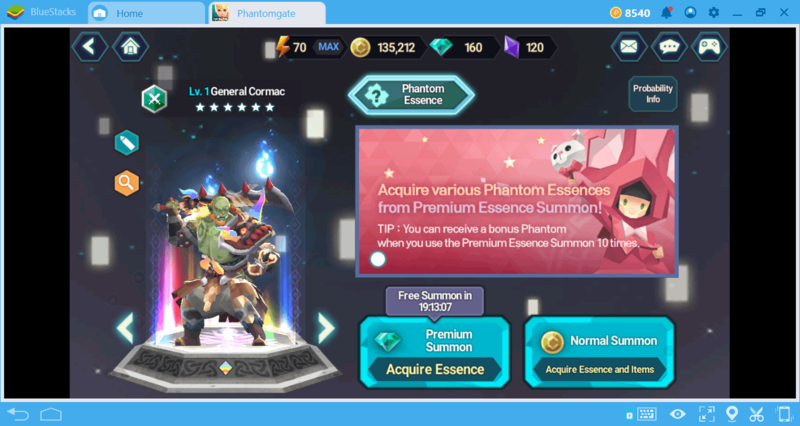 Because the results are completely random, you never know which phantom essence you will get, even in the premium option. Since the gems are sold for real money, it is not worth the risk. You can use normal summon to try your chance if you have more than enough gold. The most reliable and free source to obtain new phantoms is to collect their essences. There are two ways to level up your phantoms. The first is to complete the missions. In this case, all phantoms in your party gain a certain amount of XP points. The second is to use phantom soul shards. As we mentioned in our other guides, these shards are gathered during the story missions. 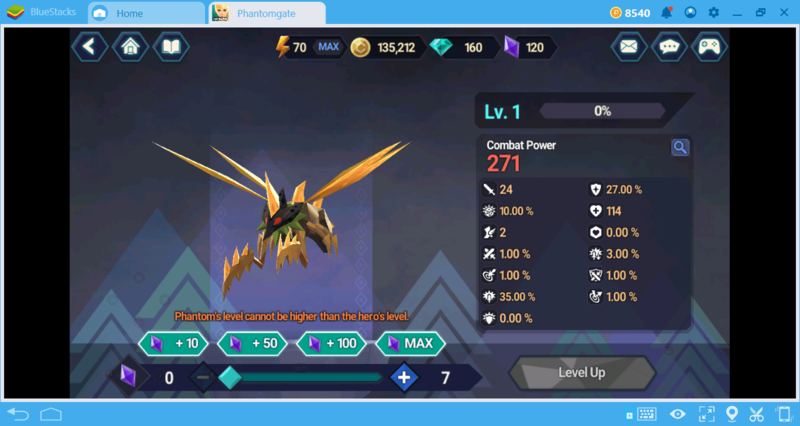 After collecting enough shards, select the phantom you want and click the “level up” button. The amount of shards that this process costs depends on the phantom’s level of rarity. But we have good news: You can upgrade even a level 1 phantom to the last level, as long as you have enough shards. The only limitation in this respect is the level of your main hero. The level of the phantoms cannot be higher than the main hero. Gaining a new level will increase the basic stats of phantoms. However, you can make them stronger by using the “enhance” method. This option is accessed via the same menu. 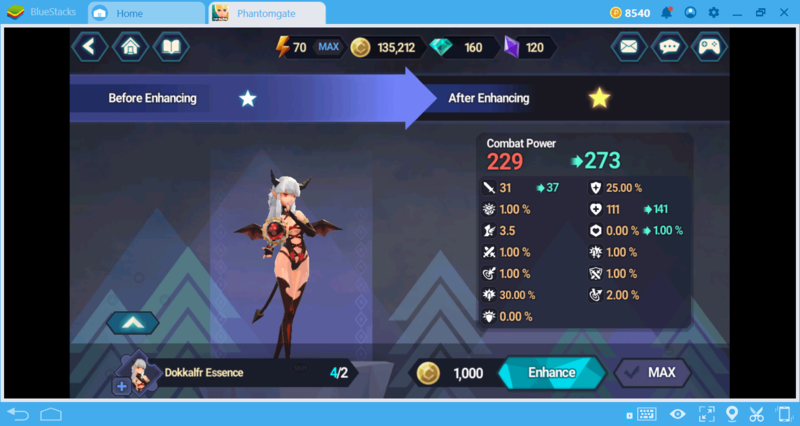 Enhancing is better than leveling up when it comes to stat raise. However, there is a price: This process uses essences, not shards. And these must be the essences of the same phantom you want to enhance. 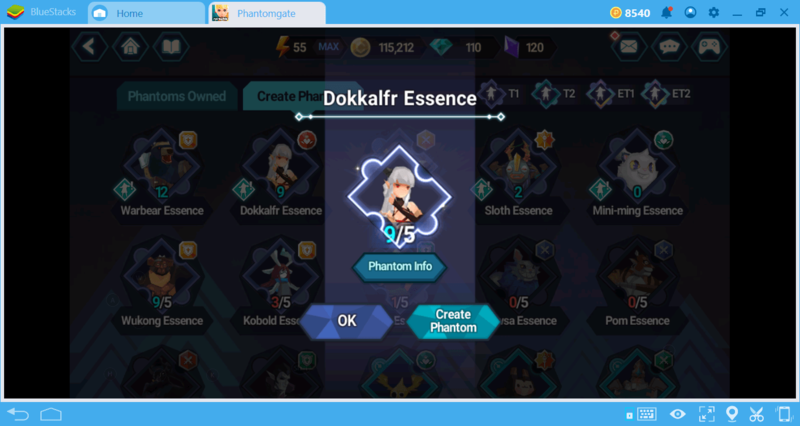 Let us explain: You will continue to collect the essences of a phantom you have already acquired throughout the game. Using these additional essences, you can enhance a phantom as explained above. This process requires more essence each time. 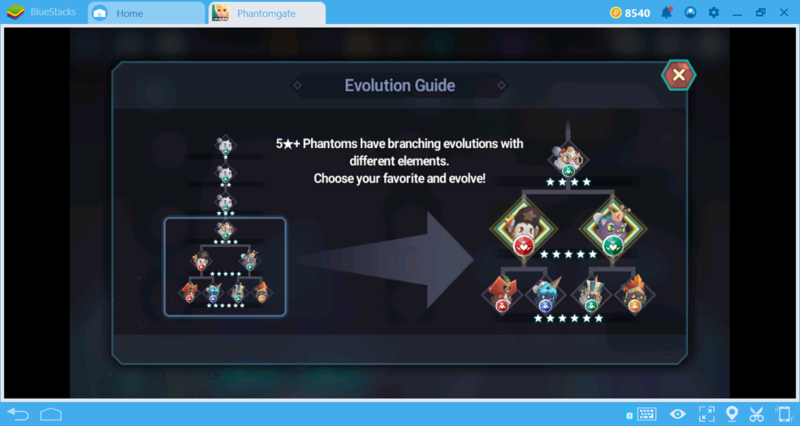 Evolving is the last method you can use to further strengthen your phantoms. 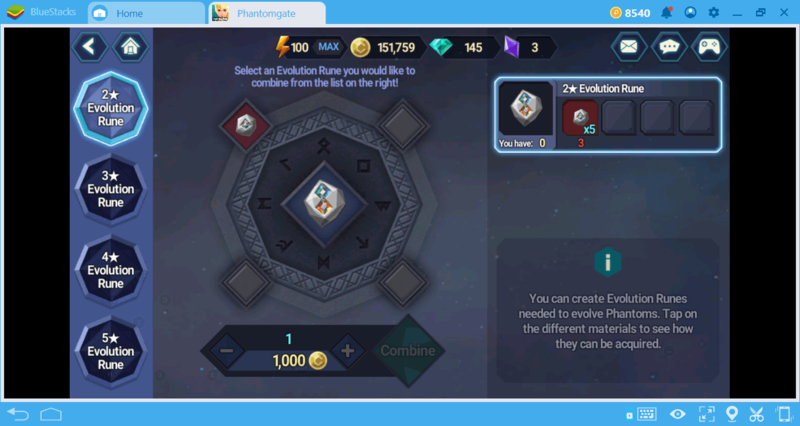 In our other guides, we mentioned that you get evolution runes when you complete the main story missions. Using these runes, you can make your phantoms more powerful and even change the element class to which they belong. Note, however, that this is not a simple change in stats: You can choose to evolve a phantom in different ways. For example, if you don’t have a phantom of the fire element in your party, you can use a phantom of the earth element and convert it to fire by evolving. 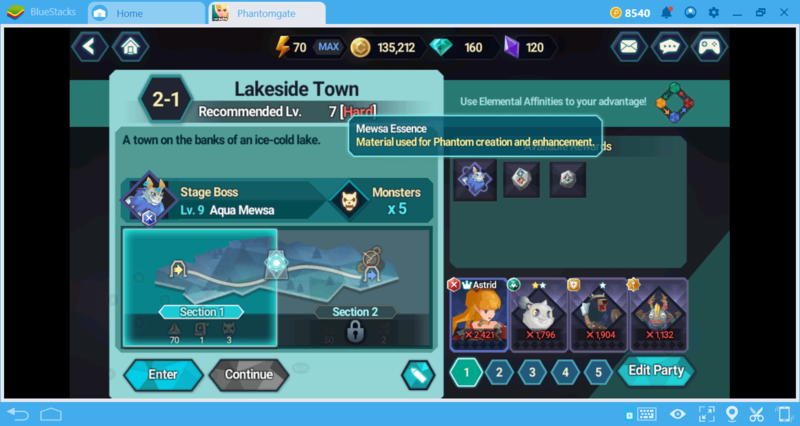 Now you know how to collect phantoms and how to determine the strongest ones: Everything is ready to start your adventure. This is going to be a long journey but you can also bet that it will be fun. Keep collecting phantoms, create the most powerful team, and get your revenge on the gods. Keep in mind that using BlueStacks will make all of these things easier and more enjoyable!